It’s March Madness, with a twist. Pick games round-by-round. Create a pool, set a wager, talk smack. It’s fun, quick, easy. And it looks great on your phone. 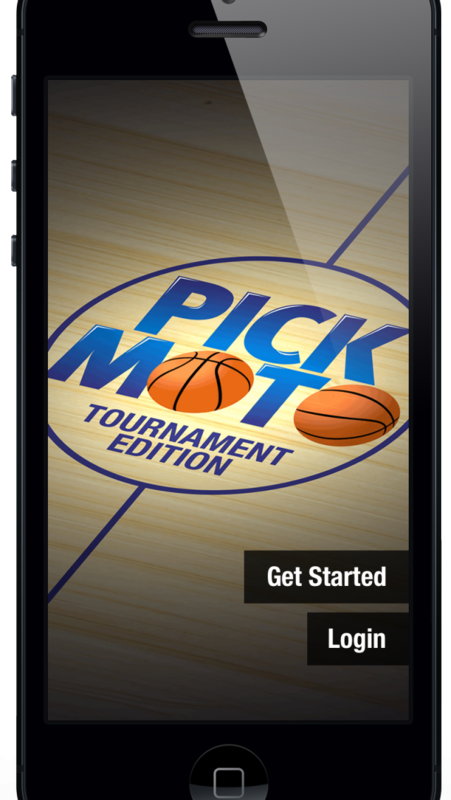 Pickmoto’s College Hoops Tourney app lets you compete all-tournament long. Make picks round-by-round. The brackets are great, but most people fill them out without having seen the teams play. By picking round-by-round, you are making picks after you watch teams advance. It’s the best parts of fantasy basketball - tests your knowledge, competition, smack talk. And it is simple, quick, and flexible for a great mobile experience. The game is straightforward - pick the winners. No players, no point spreads. Points go up each new round, 1 point for Round 1, 2 points Round of 32, 3 points Sweet 16, 4 points Elite 8, 6 points Final Four, and 10 points for the Title Game. Leaderboards. 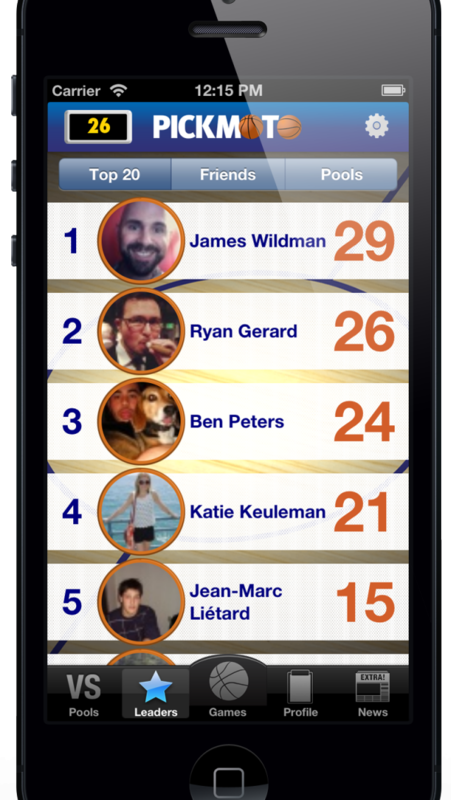 Track your score against your friends. Publicize your brilliance on the Top-20. And also see which pools across the country have the savviest players. Stats. There are lots of stats: your score, your Win-Loss record, your pick performance broken down by round. Analyze how you’re doing and how you can improve. There are also plenty of stats to help you pick each game: RPI, PPG, Vegas line. Chat. 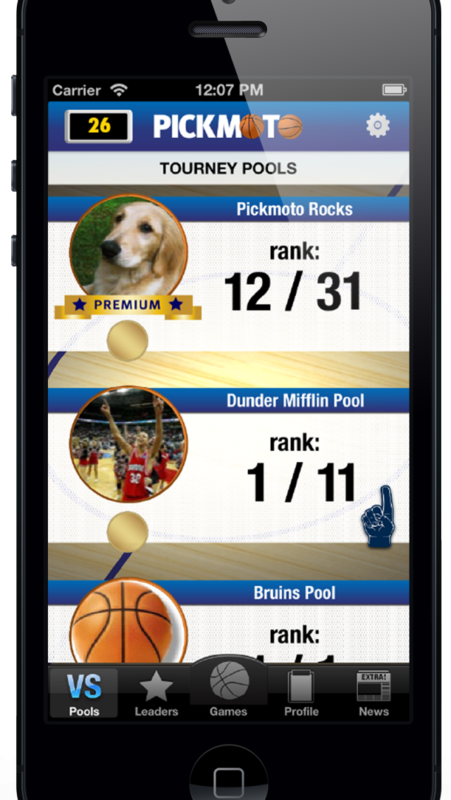 Whether you beat a friend or someone random, Pickmoto helpfully allows you to let that person (and the whole pool) know what happened. Just in case they need a reminder. News. Pickmoto curates the best news stories in our News tab. Pool management. Track who’s paid, declare a winner, send your pool messages. Make your life a lot easier. Play Pickmoto! Test your knowledge and compete with friends. 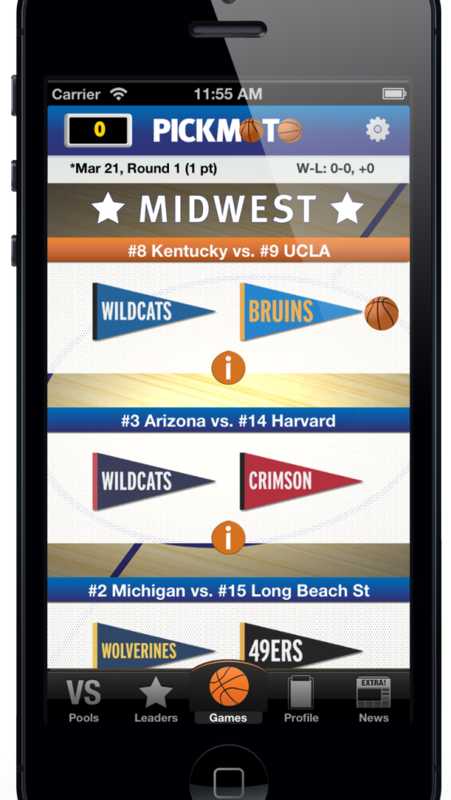 It’s a game made specially for college basketball fans and specially for your phone. 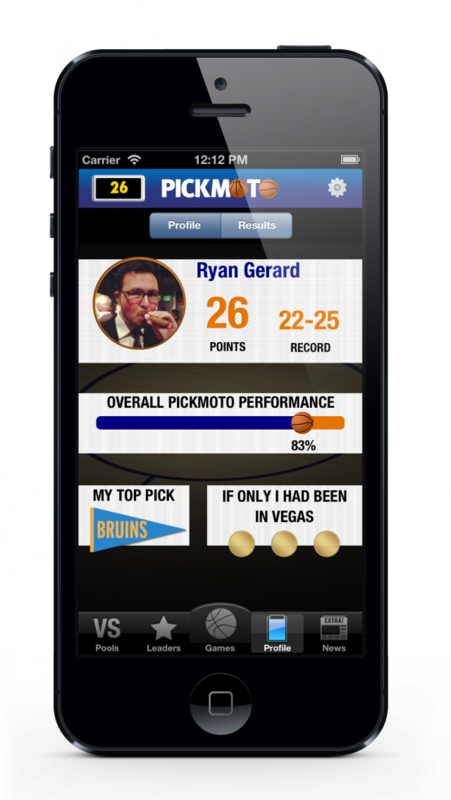 College Hoops Tourney is Pickmoto’s third release after Football Pickem and Hoops Pickem. We will release games for hockey and soccer in the coming months. Along the way, there will be updates, more content, and hopefully improvements inspired by you.